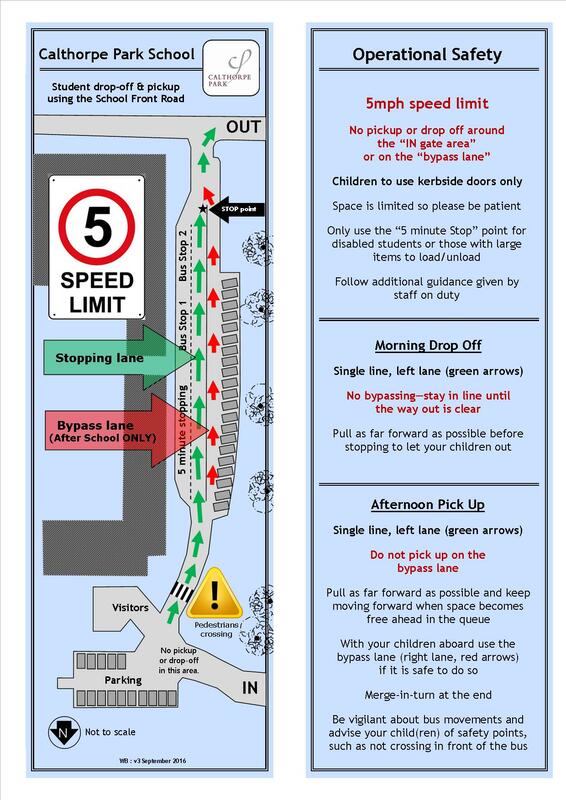 Calthorpe Park School is committed to serving its community both at an individual level and in broader contexts. We recognise the multi-cultural, multi-faith, cosmopolitan, diverse and ever-changing nature of society in this country. We also understand and respond to our role in ensuring that individuals and groups within the school community are not subjected to intimidation, radicalisation or illegal influence. We follow equal opportunities guidelines and principles which ensure that there will be no discrimination against any individual or group irrespective of gender, financial status, ethnicity, faith, sexuality, political affiliation or similar. 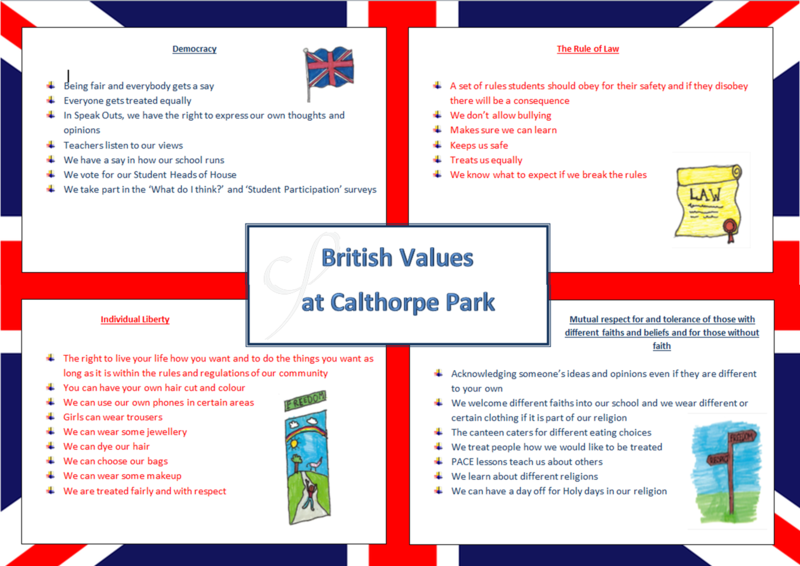 At Calthorpe Park School we pride ourselves on the quality of the education we provide and paramount to this is the development of young people who are safe, knowledgeable, respectful, responsible and decent members of a British and global society. We do this in many ways which embody the culture, ethos and vision of the school, as explicitly referenced on our website. In more practical terms, social, moral, spiritual, cultural (SMSC) and fundamental British Values education is demonstrated explicitly and implicitly within the curricular and extra-curricular opportunities we offer, as well as via assemblies. Furthermore, our commitment to ensuring that every young person is kept safe, develops an understanding of the world in which they live and contributes positively to it, is promoted through relationships and interactions; teaching and learning; behaviour and attitudes; inclusivity and pastoral care; the physical environment; our Rights Respecting and Responsibility agenda; the many and varied opportunities for students to take responsibility, participate and volunteer; our rules, protocols, policies and procedures. • Rule of Law – understanding that laws protect and keep safe both within the classroom, the school and the nation are consistently reinforced at CPS;understanding the difference between a nation’s law and religious law is covered; reasons for laws and rules are discussed; consequences of transgression are reviewed; our school's positive, dynamic relationships with authorities (including the police) reinforce these messages. • Individual liberty – students are actively encouraged to make independent choices and decisions within the context of a safe, secure and supportive environment which provides boundaries while granting opportunities and giving encouraging and empowering education. An understanding of British institutions and the need to respect others is also promoted. • Mutual respect – respect is a key foundation of everything we do at CPS and is a clearly stated cornerstone of our values, culture and ethos through the importance we place on identifying and combatting discrimination of any sort. We promote a harmonious community where the contribution of each member is valued. We are a Rights Respecting School. • Tolerance of those with different faiths or beliefs - students are equipped to understand and contribute to a culturally diverse society through opportunity to experience such diversity within the school community. Students benefit from a wide-ranging extra-curricular offer which includes both opportunity to interact with visitors from the local, national and international community as well as to take part in a broad programme of trips and visits within the UK, in Europe and cross-continent. Students are actively encouraged to share their faiths and beliefs in school and we recognise and celebrate different cultural festivals throughout the year. British Values are an essential and integral part of the education that we aspire to deliver.